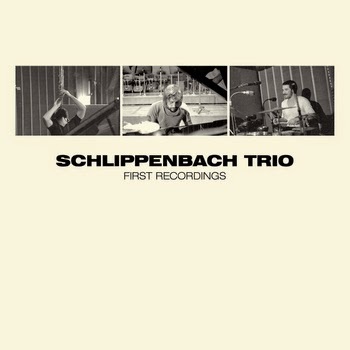 The Schlippenbach Trio is often called the Rolling Stones of free jazz because they have been playing together regularly since 1971. Moreover, the line-up has always been the same: Alexander von Schlippenbach (p), Evan Parker (saxes) and Paul Lovens (dr). Every year they tour on their so-called “winter journey”, very often they even book the same venues. In the free jazz world this is rather unusual, that’s why critics sometimes have a problem with them. Like no other genre free improvisation implies that something new has to be created, something unique as to interaction and improvisation. So the accusations against the trio are obvious. It was simply impossible to create something new under the same circumstances, especially after all these years, the skeptics have claimed. According to them the trio is like an old couple, their music being ritualized, the set-ups always being the same. But just the opposite is true. There is no band I have seen so often (Karlsruhe is one of their regular “winter journey” stops) and the music has always been really different. Last year they played a very quiet and discreet set, some years ago they sounded almost Monk-ish, when I saw them for the first time they reminded me of Cecil Taylor’s early trio with Sunny Murray and Jimmy Lyons. They constantly expand their network, they are still open to include all kind of influences, they are compelling, inspiring and inspirational because they constantly question what they are doing. Strangely enough, their beginnings are not really well-documented. Apart from the rare Pakistani Pomade (FMP, 1973) and the even rarer Detto Fra Di Noi (Po Torch, 1981) there are no albums until the 1990s (maybe due to the fact that there are some excellent albums by the Schlippenbach Quartet including Peter Kowald on bass). So First Recordings is a real piece of luck, since these are the very first – never released – recordings of the trio, recorded on April 2nd, 1972 during the Workshop Freie Musik at the Academy of the Arts in Berlin. Not only is it great music from the early days of European free jazz, it also offers an excellent insight in the band’s art and their development over the years. Actually it is no surprise that everything has already been there in 1972: Schlippenbach’s Monk roots and the Cecil Taylor clusters, Lovens’ high energy percussion style using all kinds of extended techniques and Parker’s excellent technique as well as his ability to withhold and listen. Only the emphases were different. The main track, the almost 40-minute-insanity “Deals”, presents the band in an iconoclastic mood, ready for an emotional rollercoaster ride. They play as if hell broke loose (for example after 24 minutes) and they could also withdraw to short introspective moments or passages where they even swing (in a Schlippenbach/Lovens duo passage around minute 27). First Recordings presents the musicians at the beginning of their career, young, wild, energetic, dissolute. They can’t play like that anymore (mainly for physical reasons), so their focus had to change, it’s more reflective today, but still they are absolutely outstanding. First Recordings is available on vinyl and CD. The CD is supposed to include two additional tracks (“With Forks and Hope” and “Then, Silence”) which are also said to be previously unreleased. As a matter of fact these two tracks can be found on FMP’s compilation For Example- Workshop Freie Musik 1969 - 1978, a marvelous box set which is extremely rare (and horribly expensive). The LP comes with a download on which these tracks are also available. You can buy the album from Instantjazz. The great thing about Free Jazz and improv is that anybody can play with anybody, and there's always new music and combinations. On the other hand, there's something to be said in keeping to the familiar when it's the product of years of playing together, which is the case with this trio and the Parker, Guy, Lytton trio. You can dig the same ground deeper or break new ground. Both have their place. By the way, not even the Rolling Stones are like the Rolling Stones anymore. When I got this as a Christmas present to myself, along with a bunch of other discs, I had to force myself to listen to the other ones because I was fascinated by the energy and the "paths not subsequently taken" that were present in this. I'm really glad they found and released this. A worthy 5 star disc, but this early version of the Trio also highlights, alas, the routine and predictability of the Trio at the present day. If you think you've heard it before, it's because you have.